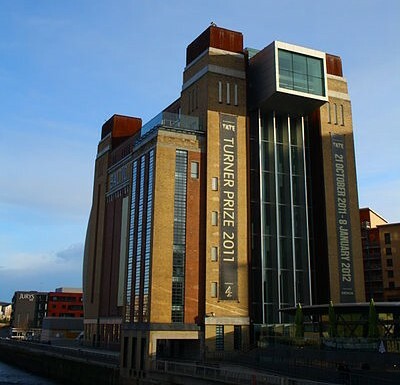 Prestige and pride for the north-east – but is it still a good use of our money? COMMENT: What is arts funding for? That is a difficult decision the arts community has to make, before someone else makes it for us. Now, don’t get me wrong. In the early hours on May 8th, I was one of the many people who threw my cushion at the telly in disgust and went to bed – along with, I suspect, most of the arts community. But the fact remains a Conservative majority has been elected, and that means more cuts are on the way. (For the record, my own view is that some sort of cuts were necessary in the last Parliament but no further cuts are needed in Parliament, but that’s not what the voters decided. Arse.) And this almost certainly means that arts funding is going to take a further hit. Let’s be realistic: there’s not much we can do to stop this. It is inconceivable that we can make the case to exempt arts from cuts when services such as the Police and social care are facing cuts too. There was a good case to argue no further austerity is needed, but the other side won the vote. There are perhaps some battles to be fought over how much of the cuts should fall on the arts, but the chance of escaping cuts altogether is about zero. And it’s a shame that the arts are facing further cuts. I feel the arts industry – theatres in particular – have handled this matter with remarkable pragmatism and dignity. Most anti-cuts protests seem to either call for the government to either stick more paper in the money-printing machine, or make ludicrous claims about how we could definitely pay for everything if only we raided the tax havens of those fat cats. Campaigns such as My Theatre Matters, on the other hand, have accepted they can’t be exempt from cuts but don’t want the arts subsidies to be singled out as an easy cash cow (such as what councils such as Newcastle try to do). Some big theatres such as Newcastle’s Theatre Royal are even honest enough to say that they can manage without a subsidy and other theatres need the money more. Small bit a good news from Yorkshire. You might remember two years ago I reported the troubling news The Georgian Theatre Royal in Richmond was in trouble. They weren’t exactly saying the theatre was under imminent threat from closure, but they hinted this might have to be the outcome if not enough backers came forwards. It’s not clear how likely this possibility actually was, but with nearby Darlington Arts Centre having already gone down the pan, it was certainly enough to get people worried. 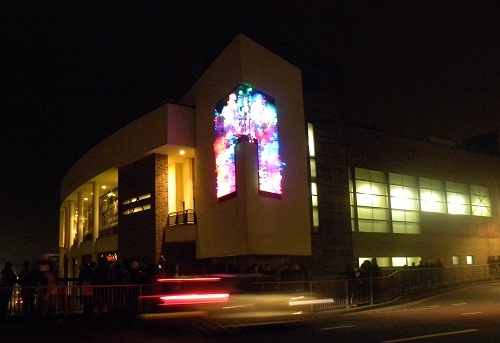 Fusion by Mick Stephenson, a Durham artist, commissioned for Lumiere. But sadly, this is the exception rather than the rule. COMMENT: Durham is great for high-profile festivals but poor at supporting local talent. With a welcome funding boost coming, now is the chance to change. Durham city has built up a good reputation for arts festivals. Underway is the popular annual Book Festival, with big names from all over the country. Earlier this year were Brass and The Streets, and next year the hugely successful Lumiere will return to Durham. The future of these festivals was in doubt, because they were heavily dependent on arts council national portfolio funding. But fears were quelled when funding was actually increased at a time when overall national funding is being cut. So what’s not to like? Well, at the risk of being a party pooper, at the time the funding was announced, I pointed out that funding in the north-east is still vastly weighted towards Tyne and Wear, with over 80% of the funding going to a county with only 40% of the population. That raised the question of how much north-east talent is going to waste – a complicated issue that I will return to another day. But before we can solve that problem, I think there is another problem that needs addressing first, which is that there is next to no support for local artists with the funding that County Durham already gets. This is a pattern I’ve observed throughout the county council, city council (when it existed), arts organisations and funding bodies – they may even be doing more harm than good for the local talent. The thing about Durham’s arts scene is that its support is almost entirely directed at its big festivals. And the big festivals almost entirely draw in their artists from outside the county: usually outside the north, often London, frequently international. That’s great if you’re trying to create a world-class international festival, and it’s great for the people of Durham to have these on their doorstep, but it’s hopeless if you’re trying to do something creative yourself. And then comes the really bitter pill. On virtually every occasion that a north-east artist is commissioned for a high-profile event in Durham – it won’t be Durham artist. It’s almost always someone from Newcastle. Even when it’s writing about events in County Durham. It almost feels like County Durham arts is more Newcastle-centric than Newcastle itself. If you’ve tried to speak to anyone working in a theatre in the last week and they bit your head off, it was probably nothing personal – it’s more likely they were stressing over the decision of the Arts Council’s 2015-2018 National Portfolio organisation. But it was announced this morning, so the time for nail-biting and head-biting is over. What does it mean for theatre round here? On the whole, it’s quite good considering the cuts gong on across the board. Live Theatre, Northern Stage and the Stephen Joseph Theatre have all kept their funding. Small snag is there’s no increase to compensate for inflation, so it works out as a small real-terms cut, but that alone isn’t too difficult to absorb. They’re not entirely out of the woods yet, because it’s a different story with funding from Newcastle City Council and North Yorkshire County Council. But, on the whole, they can be relieved today. Now, turning my attention to Durham, one alarming absence from the map is the Gala Theatre, which was a hub that funded Brass, The Streets, and – most importantly – Lumiere. Don’t panic. It hasn’t gone, they just forgot to put it on the map. If you looks at the spreadsheet instead, it’s still there (now renamed to Durham Arts Festivals Hub). What’s more, the grant is nearly double what is was in 2012-2015. So this looks like good news for anyone hoping Lumiere will return in 2015 – Durham County Council have been hinting for months that it depends on funding, and now they’ve got it. Right, whilst I am catching up on my backlog of news and reviews, here’s a bit of news from Saltburn. With all the cuts going on, there’s been a lot of bad news in financial terms for theatres. Darlington Arts Centre has already closed, and hopes of a re-opening are fading fast. Newcastle City Council proposed to cut all arts funding last year, and whilst this has sort-of been watered down, there’s question marks over whether this “cultural fund” at 50% of the old arts fund is any better. It’s unclear whether the Esk Valley Theatre will be able to maintain its professional programme after they lost their Arts Council funding. Even the famous Georgian Theatre in Richmond is in danger of closing. All in all, it’s not a happy time to be a theatre treasurer. Well, for a change, here’s a bit of good news from my old home town. Last month, Saltburn Community Theatre managed to bag a £50,000 grant from the National Lottery through the People’s Millions. The People’s Millions is a public vote where two worthy organisations pitch their proposals to the viewers of local ITV news (Tyne Tees in this case), and it then goes to a public vote, with the winning getting the money. I must say I’m not sure we should be allocating money on an all-or-nothing basis in a series of head-to-head votes, and I suspect the real motivation behind a public vote is free publicity for the National Lottery, but hey, it’s good news. If it’s any consolation, the group Saltburn beat, the Royal Voluntary Society with their scheme for older men isolated rural communities in Northumberland, also got £50,000 as runner up with the most votes. 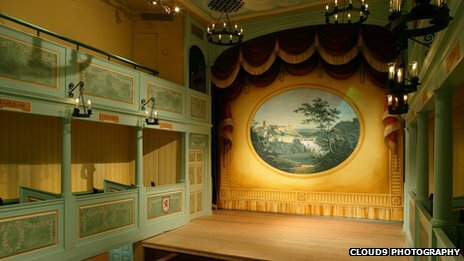 One bit of concerning news from North Yorkshire today: the Georgian Theatre in Richmond is launching an appeal fund to – so the Georgian Theatre Trust claims – save it from closure. There’s no immediate plans to close the theatre, but the concern is that as public funding streams have dried up with the various cuts, the theatre cannot continue to break even on box office and bar sales alone. COMMENT: The arts have to take their fair share of cuts along with everyone else – but the 100% proposed by Newcastle City Council is going way too far. At the moment, everybody who’s anybody is sticking their oar in to protest against the proposed 100% cut to Newcastle City Council’s arts budget. This is gone way beyond a local campaign, and has been grabbing the attention of national media and national celebrities. I’m not really one for leaping on to bandwagons, but on this occasion I have to say I am in broad agreement with – well, pretty much everyone else.